Precious stones...we must buy them all. 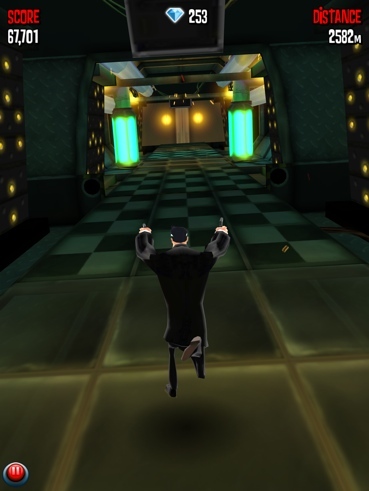 Full Fat Games invites you to download its endless runner, Agent Dash, free of charge. The studio also wants you to fork over some green via in-app purchase for diamonds and such. If you're hesitant to unleash some ones and fives from your wallet, perhaps this news will soften the blow: Agent Dash Double Diamonds Weekend. What does this mean? You'll score double the diamonds on all purchases made through the weekend, as if we had to explain it in greater detail. Not a bad deal, really. Besides, that jetpack won't buy itself.